ZINE - Offering Influencers Free Tools & Brand Collaborations! Win more collaborations with your influencer media kit! Plus apply to work with brands directly through our Brand Catalogue! The ZINE Influencer Business Suite. Showcase your social profiles and all important stats in an automatically updated media kit that brands trust. 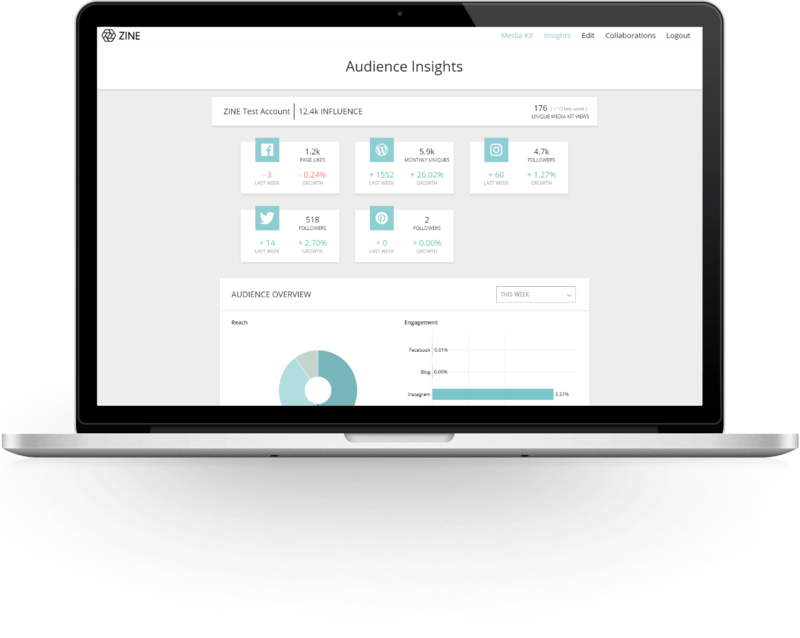 Track your growth, engagement and audience across all of your social channels from the ZINE dashboard. 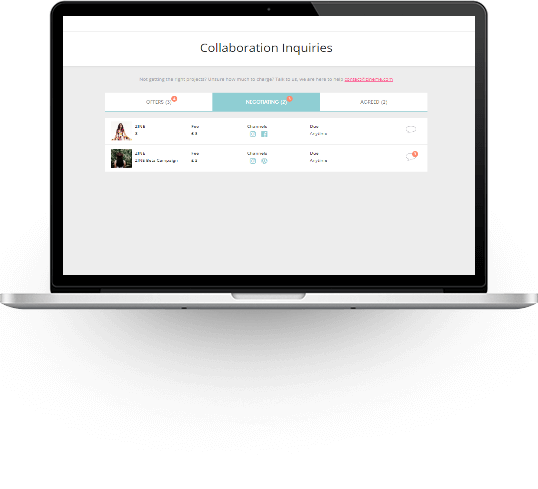 The most valuable inbox yet..
Have complete control over your brand collaborations on your desktop or on the go. This month at ZINE we spoke to Karine Kong, creative director, photographer, stylist, interior designer, blogger and all round superstar! Although influencer marketing is only recently becoming more popular, some young start up brands recognised its power from day one. Those early adopters of influencer marketing mastered their strategy and built their entire brand around it. By selecting the perfect influencers for their brand and creating fun and authentic campaigns, they have generated organic content for their products, which has resulted in the brands growing at a rapid rate. 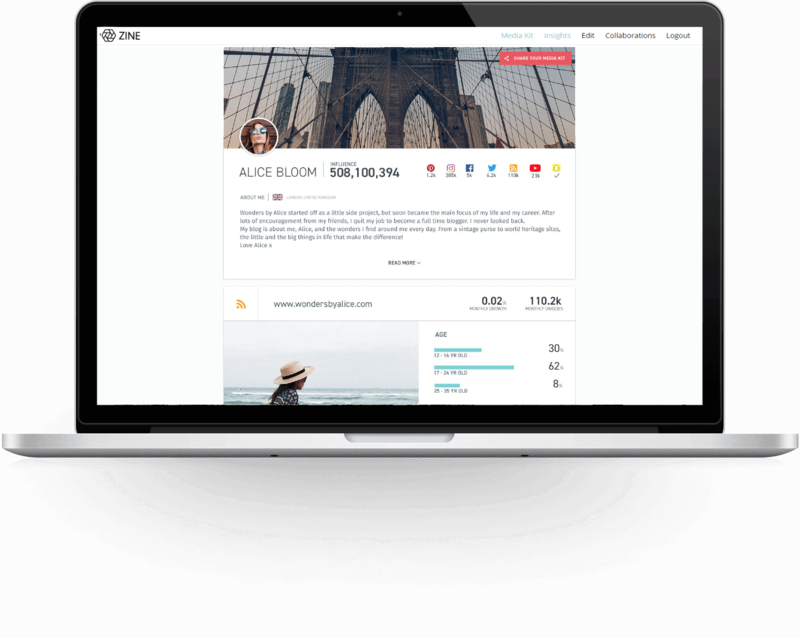 ZINE is a Technology company creating powerful analytics tools for influencers. Through the ZINE catalogue, Influencers also gain exposure to top brands and agencies looking for collaboration partners. WHO CAN SIGN UP FOR ZINE? Any influencer, no matter how small or big can sign up to ZINE and use our free analytics tools and media kit. Inclusion to the ZINE database is done on a case by case basis and at our discretion. IS CONNECTING MY SOCIAL ACCOUNTS SAFE? Absolutely! ZINE has been approved by all of our social media partners and is using their security standards for authenticating social accounts. No passwords are saved or even seen by ZINE. CAN I SHARE MY MEDIA KIT WITH BRANDS OUTSIDE OF ZINE? Yes you can – ZINE allows influencers to create a unique link to their media kit and share it with whoever they want, no sign up or sign in to ZINE required. I’M STILL CONFUSED, CAN YOU EXPLAIN…? Of course, please feel free to use the live chat on this site to ask us anything.